Most young boys ask the question at some point, “If you could have any superpower, what would it be?” Shazam! considers what would happen if a boy actually received those powers. What would he do with them? Would he use those powers for selfish aims, or would he live up to the maxim with great power comes great responsibility? 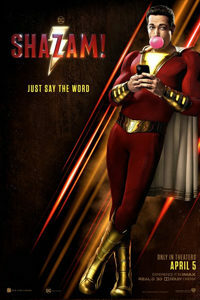 The new movie by Warner Bros. and New Line Cinema suggests it’s a bit of both, as teen foster child Billy Batson explores the limits of his newly received powers, which come with the added bonus of transforming him into a muscle-bound Alex Ross painting made flesh. Under the bright red Shazam costume and glowing logo, Billy has super strength, speed, flight, and lightning that shoots from his hands—and he uses them with an initial streak of comical juvenile delinquency, before being called upon to stop the resident Big Bad. To be sure, Shazam! is the most playful and fun entry in the wavering DC Extended Universe, and in some ways, it almost seems to parody the aching self-seriousness of movies like Man of Steel (2013) and Batman v Superman: Dawn of Justice (2016). The very idea of Shazam! is a brilliant concept that taps into the imagination of its original target audience, primarily young boys. Created by comic book artist C. C. Beck and writer Bill Parker in 1939, the DC Comics character Shazam was initially named “Captain Marvel.” But after competing companies vied for the name in the early, rather plagiaristic and litigious days of the comic book industry, Marvel Comics took the character name as their own to accompany their new brand in the 1960s. Ever since, DC’s so-named character has gone by the magic word he uses to call upon his powers. When he yells “Shazam,” lightning comes from the sky to transform Billy, with a flash and a thunderclap, into a superpowered dynamo. His heroic namesake is an anagram for the source of his powers, a hodgepodge of ancient heroes and gods: Solomon, Hercules, Atlas, Zeus, Achilles, and Mercury. Fortunately, the live-action film by director David F. Sandberg (Lights Out, Annabelle: Creation) and writer Henry Gayden (Earth to Echo) takes these rather absurd origins and exposes their sillier qualities. Oddly enough, Shazam! is about abandonment. Everyone from the villain to the supporting characters has abandonment issues in one form or another. Dr. Thaddeus Sivana (Mark Strong) was belittled as a child by his brother and father, leading him on a lifelong search to find the lair of an ancient wizard named Shazam (Djimon Hounsou). The wizard once offered Sivana his powers, if he could prove to be pure of heart, which he could not. Jealous and vengeful, Sivana seeks out the Eye of Sin, which imbues him with the strength of the Seven Deadly Sins—hideous monstrosities bound to unnerve anyone in the theater—and once acquired, he uses their powers to lash out at everyone who abandoned him. Elsewhere, Billy (Asher Angel) was abandoned as a toddler by his mother, and while searching for his birth mother throughout Philadelphia, he has run away from a dozen foster homes and families. He’s soon resituated with new foster parents (Jovan Armand, Marta Milans), who run a home populated with five other charming foster children. Needless to say, each of them has abandonment issues as well. When the wizard Shazam desperately looks for someone to oppose Sivana, he finds Billy and, before crumbling into dust, turns over his powers to the maladjusted orphan. 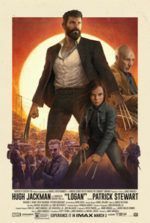 What ensues is a delightful deconstruction of the superhero origin story, even though, at the same time, the movie conforms to the standard genre modes to which viewers have grown accustomed. When Billy first receives his powers, he becomes the adult-bodied Shazam, played by Zachary Levi. And to explore his new powers, he teams with his foster home roommate, Freddy (Jack Dylan Grazer), a disabled boy with a penchant for collecting superhero memorabilia (an actual Batarang, a smashed bullet that struck Superman). The scenes of Billy and Freddy toying with the mystical powers, from stopping street crime to thwarting school bullies, prove hilarious. They’re also filled with two-dimensional characterizations, as Billy grows a predictable ego about his powers, and Freddy, envious, feels betrayed. Billy learns the foreseeable lesson that family is how you define it, and his fellow foster children end up having a significant role in the superhero conflict—demonstrating that being a superhero isn’t a fantasy exclusively for boys. Meanwhile, they make a name for Billy’s Shazam, posting videos that turn him into a viral sensation. This leads to Sivana hunting down Shazam to steal his abilities and become the most powerful figure in the world if only to supplant his feelings of inadequacy. Shazam! never goes in a direction that you won’t see coming. The filmmaking has a generic, capable quality that neither draws attention to itself nor does much to impress. 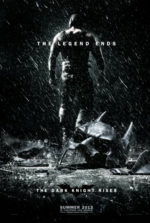 And the standard showdown between the hero and villain is your typical over-indulgence of CGI characters that should have ended long before it does—the final stretch of the 132-minute runtime wears on the viewer. But the movie makes the most of these scenes with its intentionally childish sense of humor, which propels Shazam! above other entries in the DCEU. There’s a self-reflexive quality to the proceedings that augments every sequence. Take a standard scene where Shazam and Sivana hover in the air opposite one another, staring each other down before clashing in the sky. Sivana begins to monologue, revealing his master plan, but Shazam, a hundred yards away, cannot hear him, and the intercutting between the two figures—one who takes himself too seriously, the other who mocks the absurdity of the moment—is pitch-perfect. Levy’s dopey strongman goofiness leads to plenty of laughs, and the movie’s recurrent jokes about trying to determine a superhero name for the character, from Captain Sparklefingers to Mr. Philadelphia to the Red Cyclone, never fail to produce a chuckle. And then there’s Strong, though too talented for yet another DC Comics supervillain role (he was Sinestro in 2011’s abortive Green Lantern), who delivers plenty of humor of the sardonic variety. The immature mood is ultimately where Shazam! excels, not the average superhero tropes employed by other DCEU titles. However, the movie’s willingness to acknowledge characters like Henry Cavill’s Superman, yet at the same time remain self-contained, is encouraging. 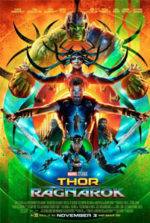 It signals that perhaps Warner Bros. realizes its superhero characters are best served not by trying to replicate the Marvel Cinematic Universe, but rather by concentrating on making good movies within a minimum of connective tissue to other franchises. That said, the presence of Batman and Superman is felt throughout Shazam!, albeit on the periphery—children wear Batman backpacks and Superman t-shirts—and it’s only moderately distracting from the essential characterizations and humor that drive this movie. It’s an easy thing to enjoy Shazam! with some popcorn, as the good outweighs the occasional bouts of cartoonish CGI and obvious plotting. It’s a tonic to the dour-toned, scattershot entries in the DCEU, and even more so because it doesn’t feel like a building block or puzzle piece in a larger franchise.